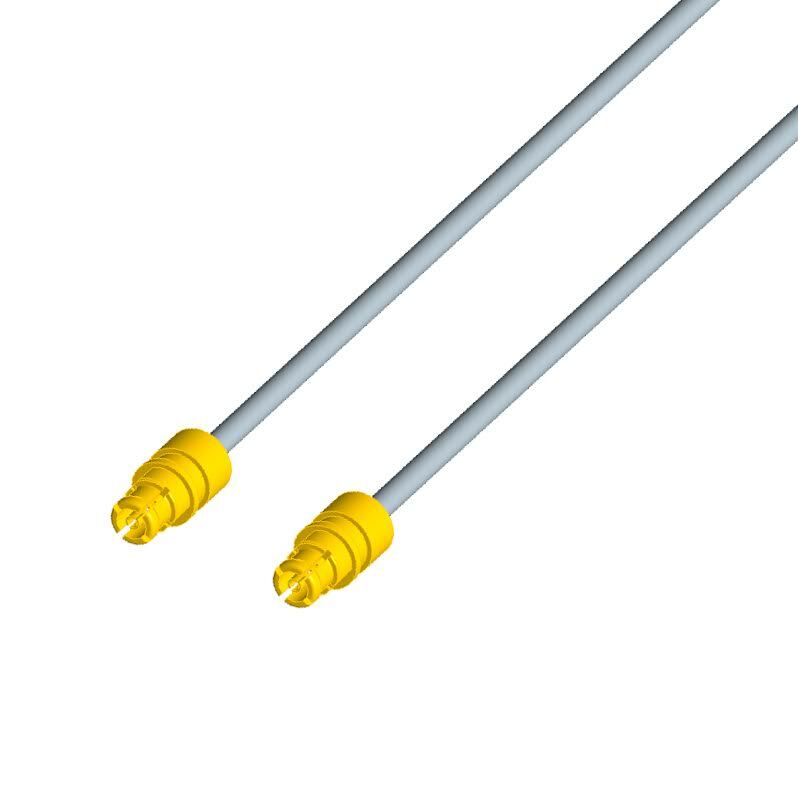 Amphenol RF introduces fixed length SMPM cable assemblies as a pre-configured solution for high frequency applications with 50 Ohm impedance requirements. The cable assemblies offer excellent performance up to 20GHz and are designed for high reliability requirements including military and aerospace applications. Amphenol RF’s SMPM pre-configured cable assemblies feature high performance SMPM plug connectors, which are designed to accommodate both radial and axial misalignment in a small package size. The SMPM connectors are terminated to industry standard 0.085 and 0.047 inch hand formable cables. They are available in standard lengths ranging from 3 to 48 inches and metric lengths from 100 to 2000 millimetres to compliment any RF design. Due to their high frequency range and compact size, SMPM cable assemblies are ideal for high data rate applications such as broadband communications, instrumentation, and 5G wireless solutions. Their reliability under conditions of radial and axial misalignment also makes them ideal for applications exposed to shock and vibration such as instrumentation equipment, aerospace, and military applications.